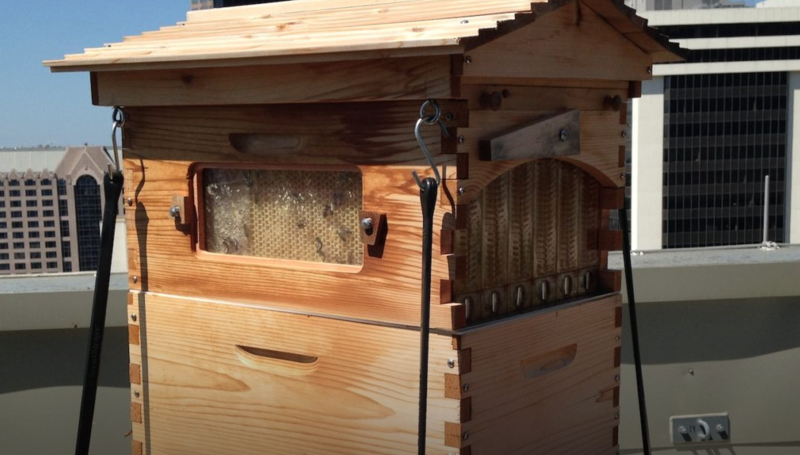 When I heard that there are beehives on the garden rooftop of The Ritz-Carlton, Charlotte, I knew I had to see them. A few emails later and I was on my way to see these fascinating creatures and meet a beekeeper. The promise of a taste of the pure stuff was just a cherry on top of my honey-infused day. This entry was posted in Press and tagged article, bartender, bee-hive, bees, Best cocktail bar, Bob Peters, bob the bartender, bobthebartender, Charlotte, Charlotte Five, charlottefive, cocktail, Cocktails, hives, honey, james beard, mixologist, mixology, outstanding bar program, punch room, punch room ritz, the ritz charlotte, The Ritz-Carlton, Vanessa Infanzon.